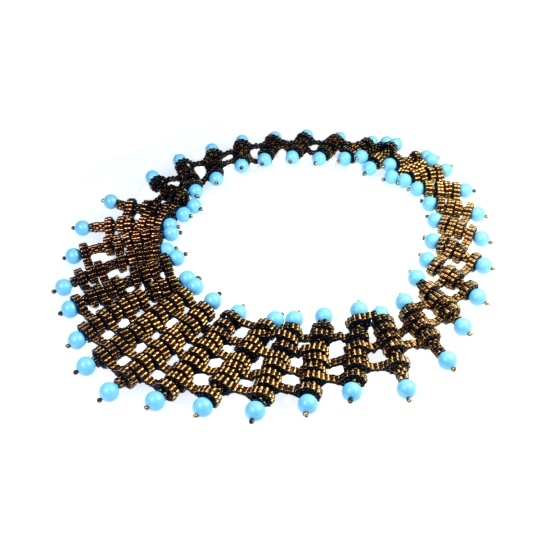 This striking necklace uses an intermediate to advanced technique (depending on which variation you choose to bead) to create an unique piece of beadwork. The technique can be used to make necklaces or bracelets (one of which can be seen here). 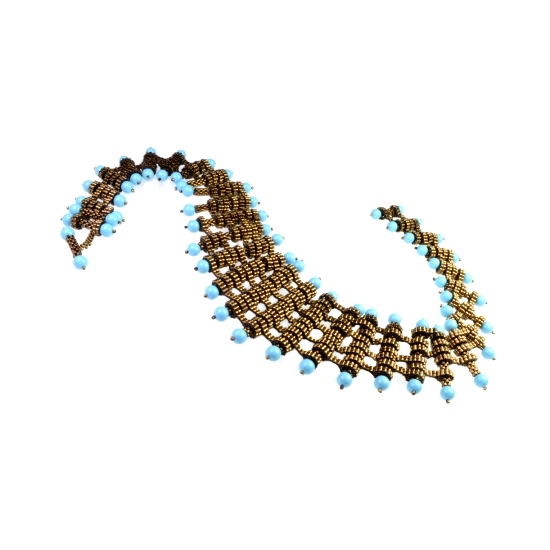 The extra decoration shown on the bracelet can be beaded onto the necklace if desired and the ideas mixed-and-matched so you can create your own unique variation.